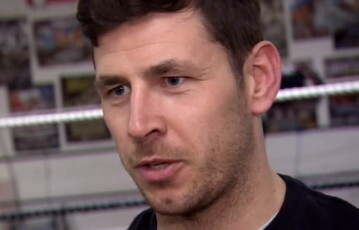 By Scott Gilfoid: Former EBU middleweight champion Darren Barker (24-1, 15 KO’s) is hoping to get a shot against Ireland’s Andy Lee (28-2, 20 KO’s) this year if possible. Barker says he’s willing to even travel to Ireland in order to fight the 28-year-old Lee. It’s possible Lee may say yes to a fight with Barker. I mean, look at who Lee is fighting on February 9th. He’s got an easy fight against an over-matched Anthony Fitzgerald (13-3, 4 KO’s) at the Odyssey Arena, in Belfast, Northern Ireland. I’m sure Lee wouldn’t mind going from a win over Fitzgerald to a fight with Lee given that it’s a perfect transition for him. It’s the same stand up European style and Lee will do well against Barker. I really don’t see Barker beating a guy like Lee since he doesn’t have the pressure style of fighting that has traditionally given Lee a lot of problems during his career. In fact, Lee does really well against the Barker types that stand on the outside and look to trade jabs and long range shots all night long. A fight between Barker and Lee may have to wait, though, as Barker is being considered for a title shot against WBA World middleweight champion Gennady Golovkin. If Barker doesn’t banged up in his fight on March 9th, we could see him in the ring with Golovkin real soon. If Golovkin wants Barker bad enough I’m sure he’d be willing to travel to the UK to make the fight happen. Golovkin is already looking to get back in the ring in March or April, so March 9th would be perfect for him if he were to face Barker.